MesoLawyersCare is an organization of four leading mesothelioma law firms. The “MesotheliomaLawyers” part our name is there because that’s who we are and we are proud of it. Since the beginning of asbestos litigation, our firms have led the fight to recover the highest amount of money possible for mesothelioma patients. We are proud to have recovered more than $10 billion dollars combined for mesothelioma patients and their families over more than 5 decades. The “Care” in our name comes from the fact that we care and show it by giving back to mesothelioma research. We have given millions of dollars to mesothelioma research and we donate a percentage of all attorney’s fees to mesothelioma research and patient care. No organization of mesothelioma attorneys in the United States can match our results for our clients or our commitment to giving. – Fred S., diagnosed with mesothelioma in Louisiana. – Dolores, her husband was diagnosed with mesothelioma. – Gary, diagnosed with peritoneal mesothelioma. – Ernesto, diagnosed with mesothelioma. – Mrs. S.; Washougal, WA. We are proud to be able to offer victims of mesothelioma and your families the value of our combined experience, expertise and proven track record of success. We are equally proud that our four firms are the founding members of MLC and that we will be giving back to the mesothelioma medical community. We would be proud to be of service to you. Cooney & Conway is a nationally recognized personal injury and mesothelioma law firm committed to providing the highest quality legal representation on behalf of individuals who have suffered injuries or death through the negligent conduct of others. We have compassionately and successfully represented injured victims and their families since 1958. For the last 40 years, Cooney & Conway has been a national leader in the complex practice of asbestos litigation, serving several thousand mesothelioma clients from many occupations from all around the world. Supported by a staff of 65, our team of 21 skilled asbestos attorneys have argued on behalf of injured clients in landmark cases that have shaped mesothelioma litigation in Illinois and nationwide. The firm has led the way for decades to ensure that the responsible corporations that poisoned American workers are held accountable for their actions. The firm is proud of the service it provides to people who have been injured because of the negligent and intentional harm done by asbestos manufacturers and distributors. Each individual client and family is deserving of the individualized attention that their case requires. At a time when these families are attempting to concentrate on complex medical challenges, their legal rights need to be zealously protected. With the ever present goal of achieving full and just compensation, the attorneys of Cooney & Conway continue to serve as resourceful and aggressive advocates for victims of asbestos related injuries and their families. Since 1974, we have helped victims of mesothelioma and asbestos-related cancers get the maximum compensation they deserve. With 22 attorneys and nearly 400 years of combined experience, we have made asbestos law through precedent-setting rulings while obtaining justice for clients for more than 40 years. By focusing intensely on asbestos litigation, the firm’s attorneys remain on the cutting edge. The firm has been involved in almost every major asbestos bankruptcy and Asbestos Trust across the nation, becoming the most important plaintiffs’ firm in the Asbestos Trust arena, according to The Wall Street Journal. Levy Konigsberg LLP (“LK”) has represented mesothelioma victims and their families for more than 30 years. With more than 1 billion recovered on behalf of the firm’s clients, LK is nationally known for litigating asbestos cases on behalf of wide range of clients including people who worked with or around asbestos products as well as those who came in contact with asbestos dust at home. LK is a nationally-recognized firm that was named the Plaintiff’s Product Liability Law Firm of the Year by U.S. News & World Report in 2013. Many of the firm’s lawyers have been recognized by Best Lawyers®, SuperLawyers®, and the National Trial Lawyers Top 100®. In addition to obtaining multi-million dollar settlements for many clients across the country, LK has obtained some of the largest jury verdicts in asbestos cases in the United States, including the largest compensatory damages verdict ever upheld on appeal in a mesothelioma case. The Nemeroff Law Firm lawyers have been representing and fighting for mesothelioma victims and their families for over 23 years. Rick Nemeroff has personally tried cases to juries and judges in over a dozen different states, most with seven and eight figure verdicts, and truly embodies the notion of a “national trial lawyer” leading a national trial firm. In addition to record setting verdicts, Nemeroff Law Firm clients have received hundreds of millions of dollars in settlements. 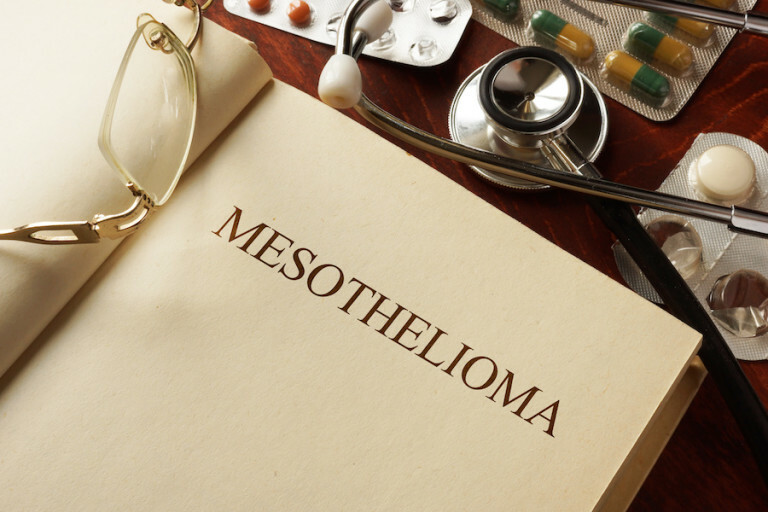 Nemeroff Law Firm lawyers have also helped change the law to provide mesothelioma victims with additional rights and ways to recover just compensation from negligent corporations. With lawyers licensed in states nationwide, The Nemeroff Law Firm represents victims and their families throughout the country. Nemeroff Law Firm lawyers are also members of nationally recognized organizations such as the Multi-Million Dollar Advocates Forum, American Association of Justice; and have been recognized as Super Lawyers by their peers. No matter where you live, the Nemeroff Law Firm will be there for you.